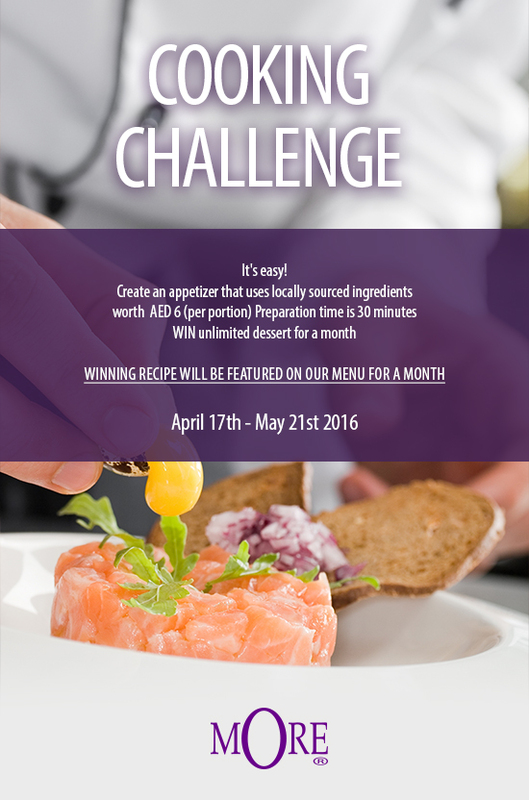 Dubai our Sandbox: More Cooking Challenge - fun family competition and I am picking a winner! More Cooking Challenge - fun family competition and I am picking a winner! I am taking part in the More Cooking Challenge, as a judge in this fun family competition. Join me and enter the fun, because "families who cook together stay together". Here's your chance to WIN unlimited dessert for a month, assorted goodies from More and have your recipe featured on the menu. Show off your culinary skills. More Facebook page - all details here. Three finalists will be chosen to participate in a cook off at a professional restaurant kitchen. Dubai our Sandbox will be behind the kitchen casting vote for the winner! As a mom who love to be in the kitchen with my girls, I am super happy to be a judge on the More Cooking Challenge.